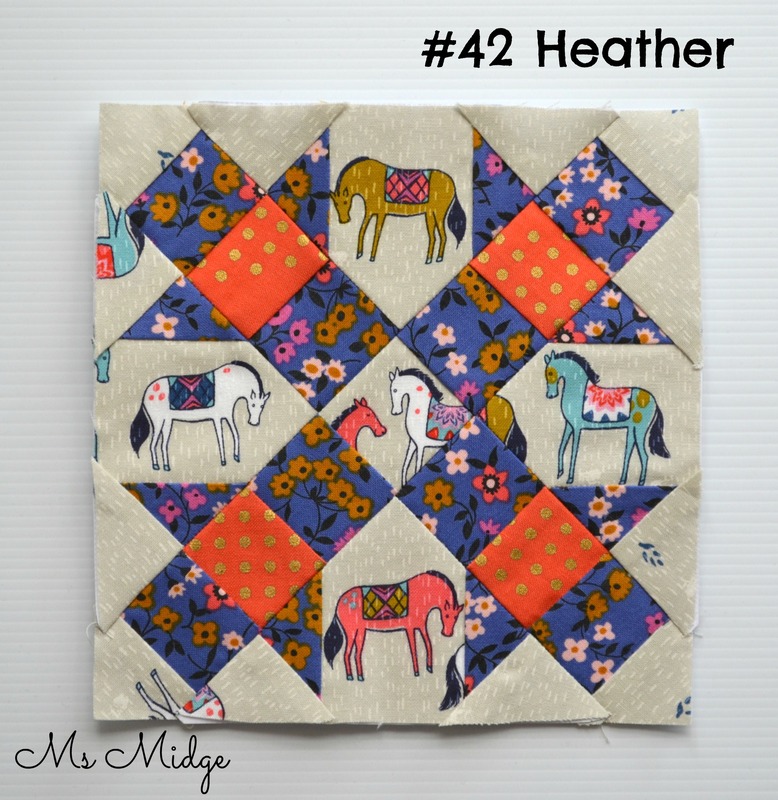 The Farmer’s Wife 1930’s Sew Along – #42 Heather – Paper Piecing Tips! 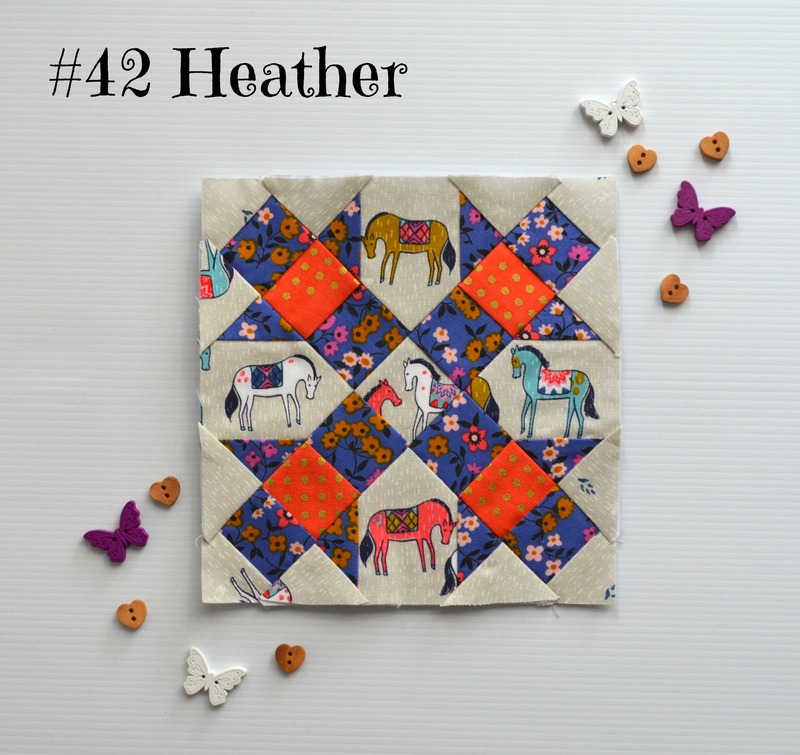 Today is my second stop on the Farmer’s Wife 1930’s juggernaut, and I’ve been allocated the lovely Heather – number 42. I have an admission to make – I haven’t read many of the letters in the book so far. But when I opened the book up to find this block, I found the letter most fitting – given it is school holidays here in Melbourne, and my kids are home! On a particular trying day last spring while I was getting a dinner for half a dozen extra men, a neighbor came in and “borrowed” the children for the day. She didn’t bring them home until their bedtime. They were bathed and fed and ready for bed. Since then she has “borrowed” them many times, on club days, wash days, days when I’ve had to go to town. Oh what I would do for someone to come and look after them whilst I disappear magically. 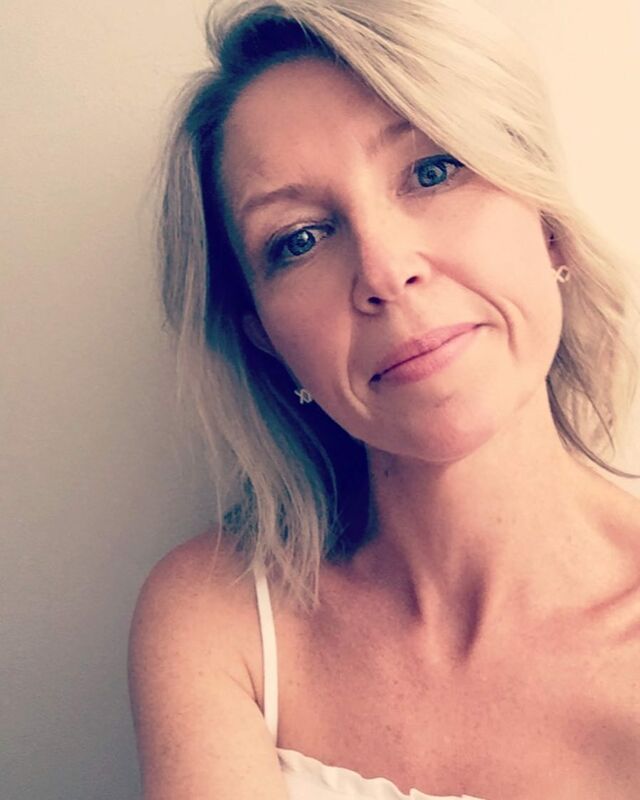 It also hit home with me because my kids are getting older now, and easier. So I can see me “borrowing” friends kids in years to come, to not only give them a break, but to spend some time with little people again…. Anyway – on to the block! This far in to the sew along, most of you will be familiar with how to put your blocks together – there’s no reinventing the wheel happening here today! I am however going to share some foundation paper piecing tips of mine with you. They may only be small things, but they certainly make a difference when you’re paper piecing your way through 99 blocks! After cutting out my pattern pieces, I number them all accordingly. I have stuck to the traditional fabric layouts for the majority of my blocks ie. if the block in the book has three fabrics in it, I will too. This makes your block actually LOOK like the block! Once I have figured out how many fabrics I need, I then work out which ones will go where. So as you can see above, I’ve written on the numbers which is which. 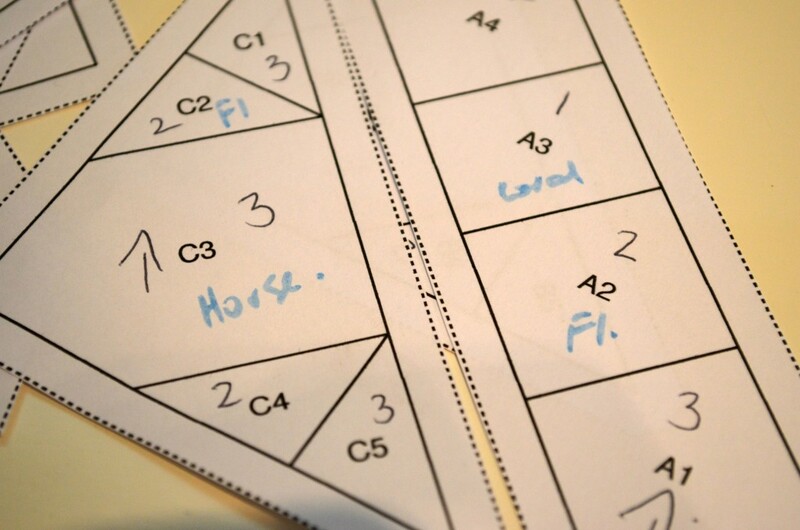 You will also see on C3 and A1 I have drawn arrows on them? This is for fussy cutting use! It shows me which direction my fussy cuts have to be. It helps quite a lot. When it comes to fussy cutting, having some light in your room will be of great benefit. 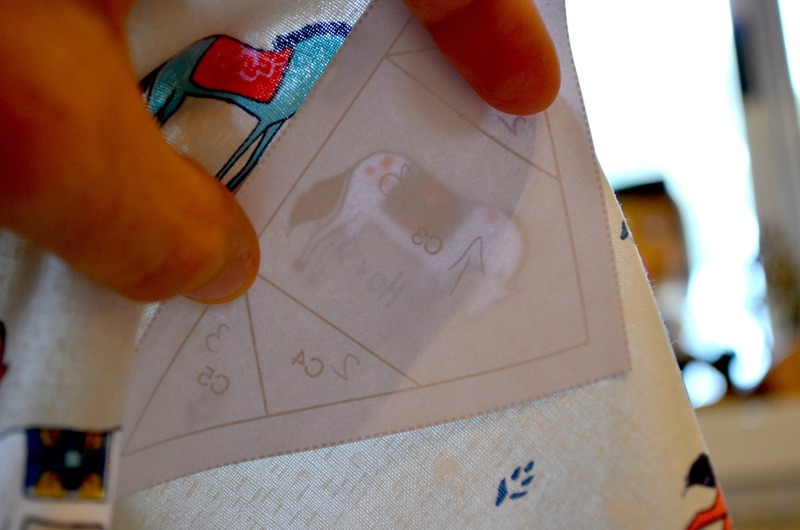 Being able to work out if a print on a fabric will fit the little pieces of your pattern is essential, and if you hold your paper up in front of your fabric – against the light, it will show up for you. 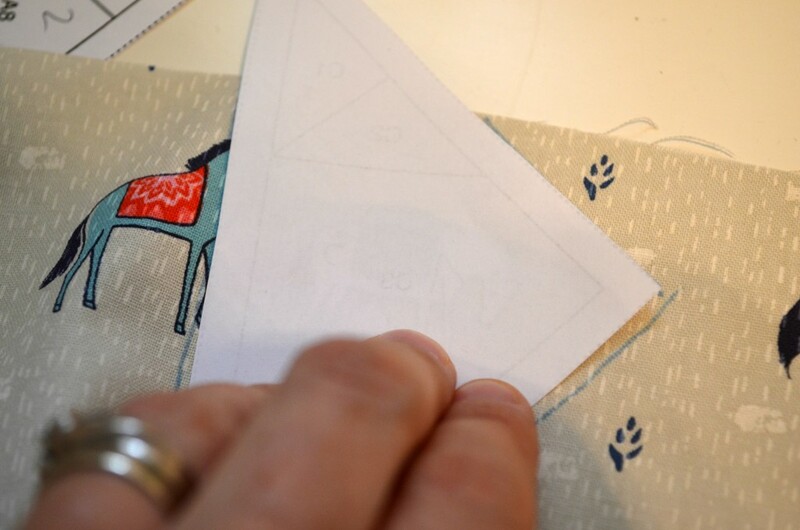 Once you’ve figured out it will fit, trace around the piece so you know where to cut out. 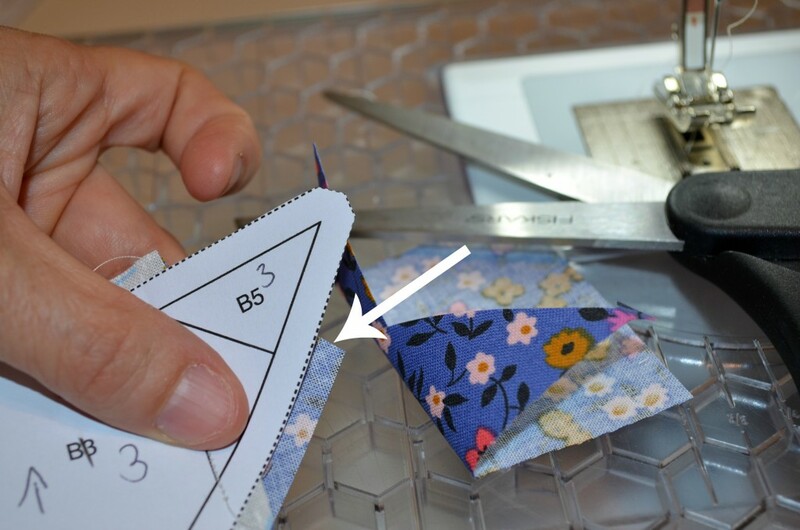 Another tip here is that if you are fussy cutting, it is almost always easier to have your fussy cut as the first piece of your pattern piece. Ie. If you look at the photos above, you will see the actual “horse” section is noted as c3 – so should in theory be the third piece in your sewing. But this block pattern in particular makes it easy to switch it to the first. You then just work your way outwards. If I have a lot of fussy cutting for a block, I will get that all out of the way first. 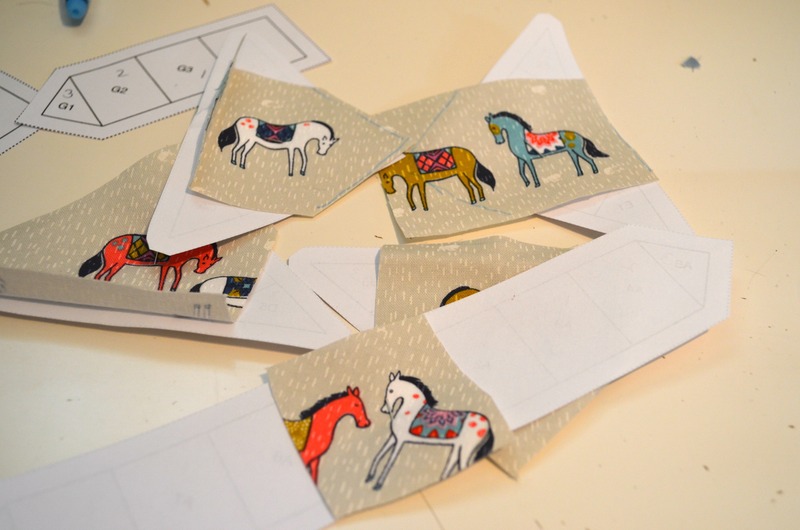 So I have cut out all my horses and pinned them to each piece accordingly. I don’t generally cut fabric out to size when paper piecing. I will cut small strips, and work with them. 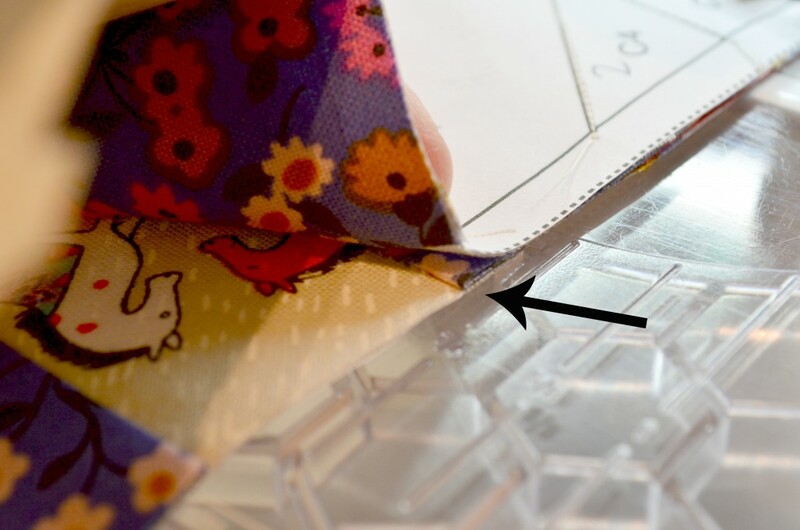 So in the above photo, you will see I’ve popped the strip under my pattern piece to get started. Always ensuring you have at least 1/4″ over your seam line, as noted by the arrows. Once I’ve sewn the seam line, I pull the strip back over the piece I’m covering (B4) and flatten out the seam with my fingers. 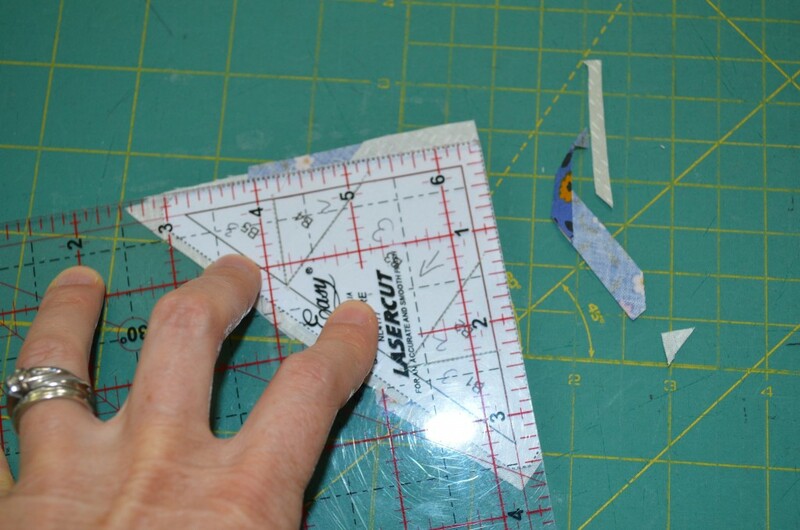 And then just cut a 1/4″ past the next seam line, as shown above. Once I’ve sewn all my pattern pieces, I attack them with the iron. And lots of steam. And when trimming them all down, with these small blocks I’ve just been using a 6.5″ square ruler, so it’s not too cumbersome. I have a 4.5″ ruler somewhere, but that’s an ongoing mystery at present…. 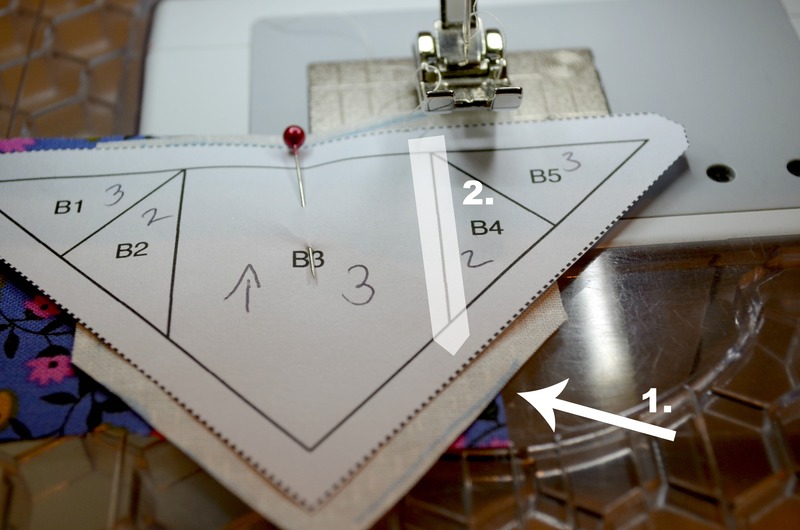 If you line up your 1/4″ lines on the pattern lines, it will give you an accurate seam allowance. Once all trimmed, I lay them all out to ensure I haven’t missed any pieces! Quite often, with these little blocks, I’ve discovered I’ve lost a piece somewhere during the process. 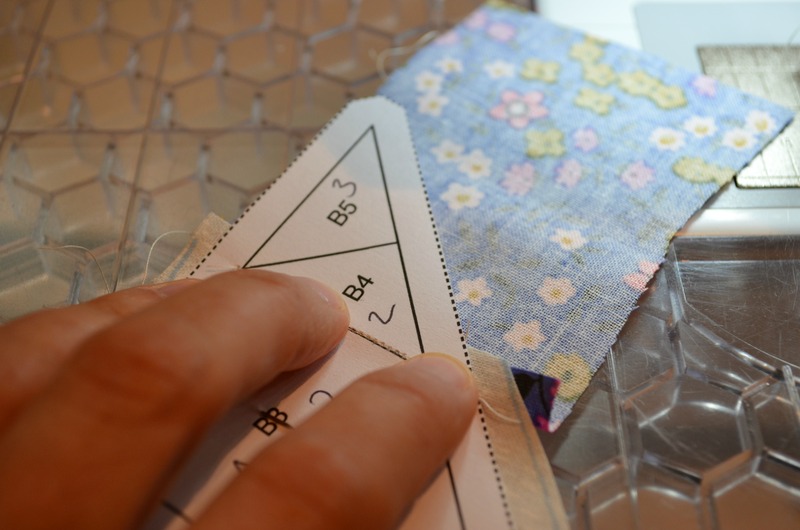 When you’re connecting pattern pieces, you will then see why the little trimmed corners play such an important role in your piecing. As you can see, it makes it really easy to line up your seams. 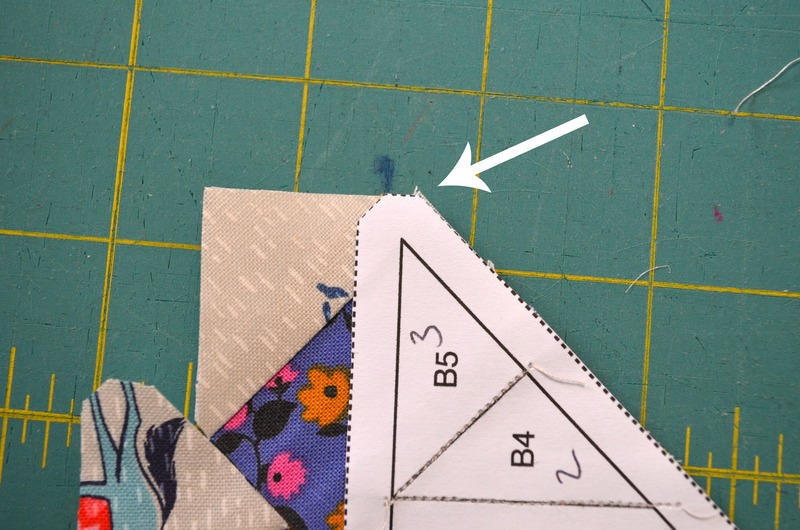 And when you have a length of seam, with lots of interconnecting seams, try to match them up – you can use a pin if you like, or a little dob of glue, but I tend to start sewing the seam, pop my needle in and then find a spot to hold my finger on and this generally keeps my seams in line. You’ll have a neat little block. 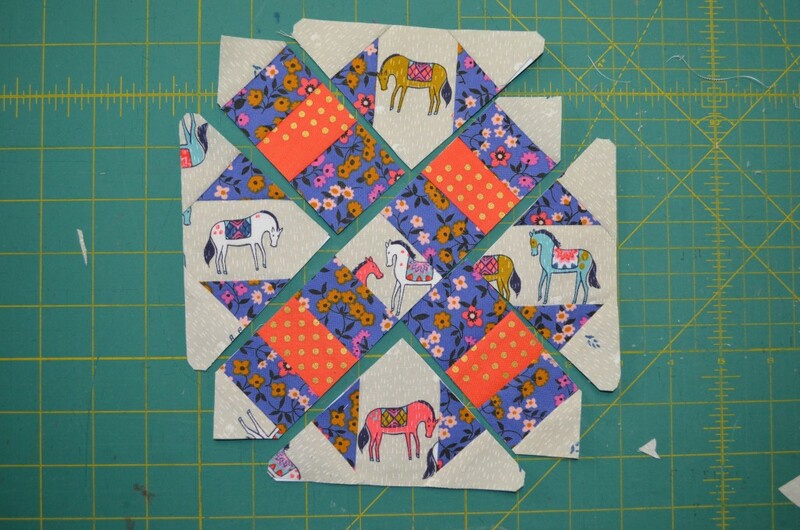 If you’re looking for an alternate way to make this block, check out Angie’s tutorial today too. 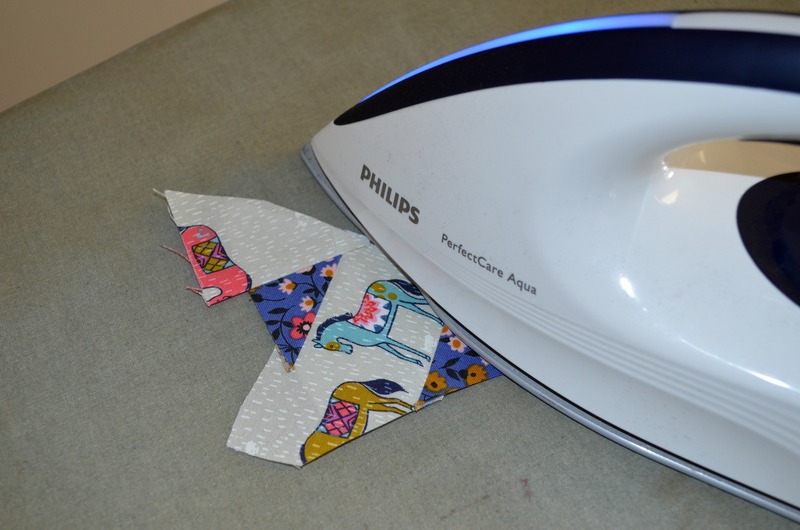 ** Paper piecing tutorial from Gnome Angel HERE. And one by Blossom Heart Quilts HERE. ** All the block tutorials by Angie and bloggers. ** Any and all FAQs for the sew along. 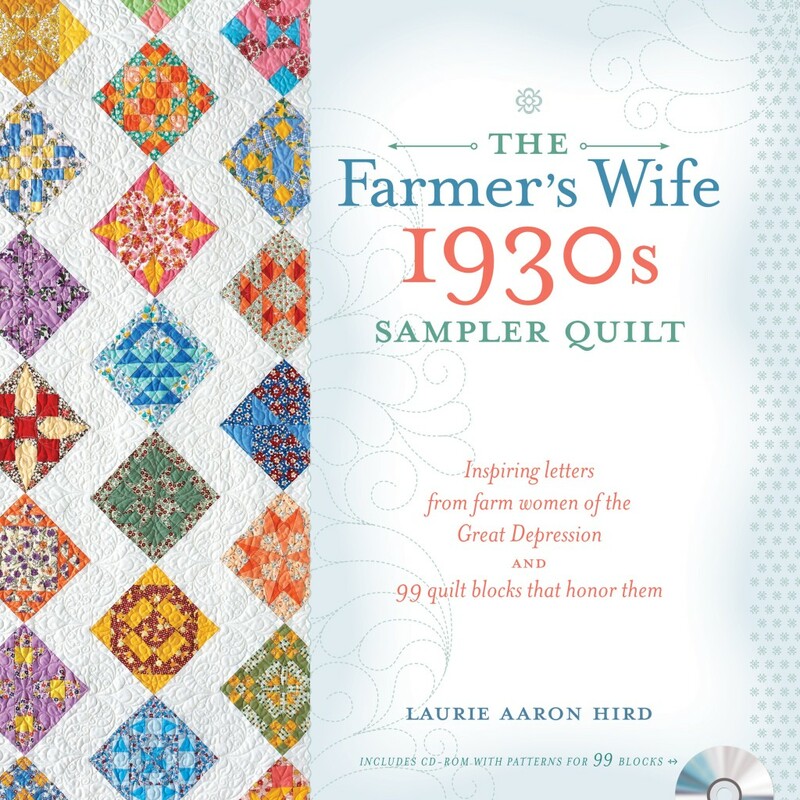 6 Responses to The Farmer’s Wife 1930’s Sew Along – #42 Heather – Paper Piecing Tips! Love your block! Horses look fantastic! Looks great. I’m still scared to paper piece. I’ve only completed one block! You’ve got to give it a go! You won’t regret it – promise!